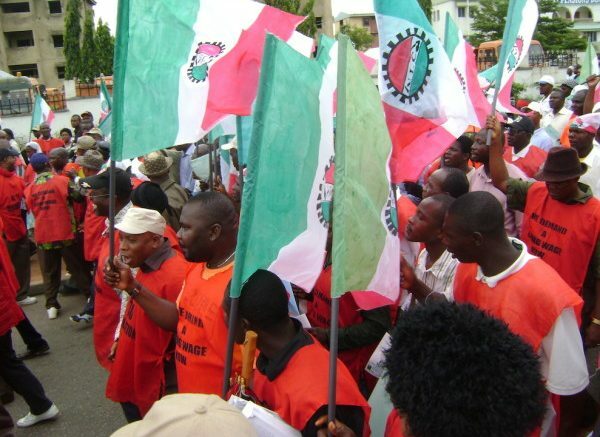 The Cross River Chapter of the Nigeria Labour Congress, ( NLC ) says it will not participate in the 2019 general elections if the federal and state governments fail to implement the N30,000 minimum wage. The state NLC Chairman, Mr John Ushie, made the declaration on Tuesday during a peaceful protest in Calabar to press home the workers’ demand for the implementation of the minimum wage. Ushie said that the current minimum wage of N18,000 had become obsolete since 2015, and accused the Federal Government of playing on the intelligence of workers’ by holding several fruitless meetings to avert strike. The chairman decried the long period the minimum the wage bill had been with the Presidency with no plans of transmitting it to the National Assembly for passage into law. “Labour will continue the struggle until we get victory. Victory does not come easy, it will require all our energy, and it will require us to put all. “The minimum wage is long overdue since 2015. Workers have run out of patience, so we are here to take our destinies in our hands. “We are here to protest because it is a national directive; we will do so until we get a commitment from government concerning the N30,000 minimum wage and when it will be enacted into law. “Secondly, we are here to send a message to President Muhammadu Buhari to immediately transmit the minimum wage bill to the National Assembly for passage, so that the money can get to Nigerian workers without further delay. “If the Federal Government and governors say no to minimum wage, we also say there is no vote for them; no election,’’ he said. He said that the rally will culminate into an indefinite strike if nothing was done quickly by the Federal Government. Also, Mr Boniface Isok, a national officer of the NLC, who said he was in Calabar to monitor the rally, maintained that workers would not participate in the 2019 general elections if the minimum wage was not implemented. Isok said that the organised labour would not hesitate to embark on an indefinite strike if the Federal Government failed to transmit the bill to the National Assembly. “Anytime the Federal Government heard that we want to go on strike, they will fix a meeting with no reason for it. This time, we are not giving a notice for strike. “The Federal Government wants to hold the 2019 general elections without implementing the minimum wage because they know that once the election is held, that becomes the end of the minimum wage. “If the Federal Government does not sign the minimum wage bill into law, there will be no election. We are ready for them this time,’’ he said.